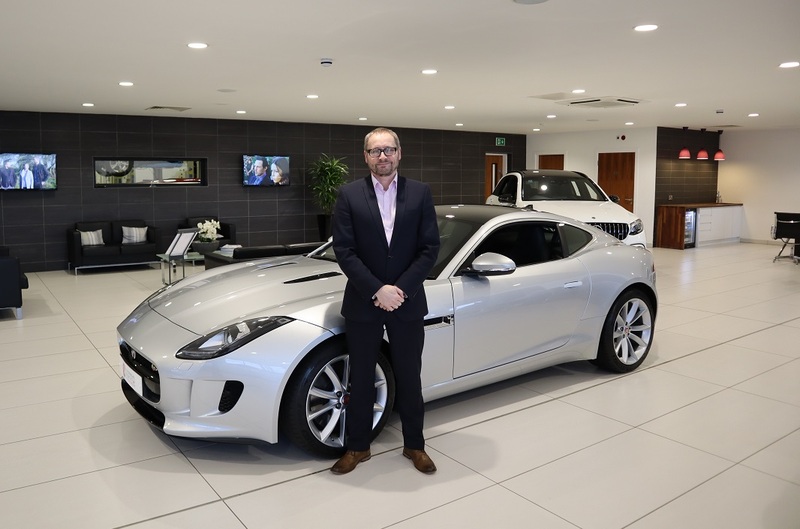 Hippo Prestige has a strong history of selling the most desirable cars in the UK, and none of that would be possible without Hippo Motor Group’s Prestige Sales Team Leader, Greg Wolfenden, who has helped customers buy prestige cars since he joined the team in 2013. Today we get to know Greg a little more. 1. What does your average day consist of? What responsibilities do you have? I’m in charge of enquiry management for Hippo Prestige, as well as customer care, website activity, vehicle pricing, forecourt and showroom appearance. I also am in charge or part-exchange values and stock management for Hippo Prestige. What that means is I monitor enquiries that come into the website overnight and throughout the day and delegate them to a member of our sales team. Our cars are listed on listing platforms and we receive large numbers of enquiries from all over the country, so I’m also in charge of ensuring our car’s prices are as competitive as possible, and that all cars in our showroom are presented to as high a level as possible. Andrew Radiven is responsible for sourcing them though, as he’s the buyer. As well as the pricing, I also make sure our customers receive prices when they ask, and if they are wanting to part-exchange their car, I make sure they receive an offer. With part-ex, we can do that by either having the customer film a live video, and send us that, and then we can remotely assess the car’s value, or they can bring the car to our showroom where we can assess it in person. When cars arrive at our showroom to be listed for sale on the Hippo Prestige website, I make sure they are prepped to Hippo Motor Groups’ high standards, as we give our cars a thorough 124-point check, service if needed and a three-month warranty, or else we offer the remainder of the manufacturer’s warranty. So it’s important our cars are offered to a high standard of maintenance. Our cars are all given a full valet and once we know they are competitively priced, then they can be placed on the website. 2. How long have you been at Hippo Prestige? Can you walk us through your time here? I’ll be here six years in April 2019, as I’ve been here since 2013 from when Hippo Prestige was just a small 10 car site with one account manager for prestige cars when Hippo Motor Group was based in Burnley. Initially, I helped out Tom Preston and his father Richard handle prestige car sales and I’ve been here as Hippo Prestige has grown from strength to strength to a 250-cars purpose-built showroom in Blackburn. Now, I head up a team of four specialist prestige account managers. Hippo Motor Group itself has grown in leaps and bounds in the six years I have been part of the business – we were just 20 employees and 15 cars when I joined and now there are 180 employees and the group has 800 cars in stock, and counting, and more than 250 of these are prestige cars. 3. What is your favourite aspect of your job? No two days are the same, something different to deal with every day. Whether that’s helping out customers who might be having a problem, dealing with the cars that come in, or ensuring the account managers are delivering a high level of service to customers, there is always something, and I love that. I believe every day should have a structure but shouldn’t be repetitive or mundane. 4. In your time at Hippo Prestige, have there been any memorable cars that you have sold? 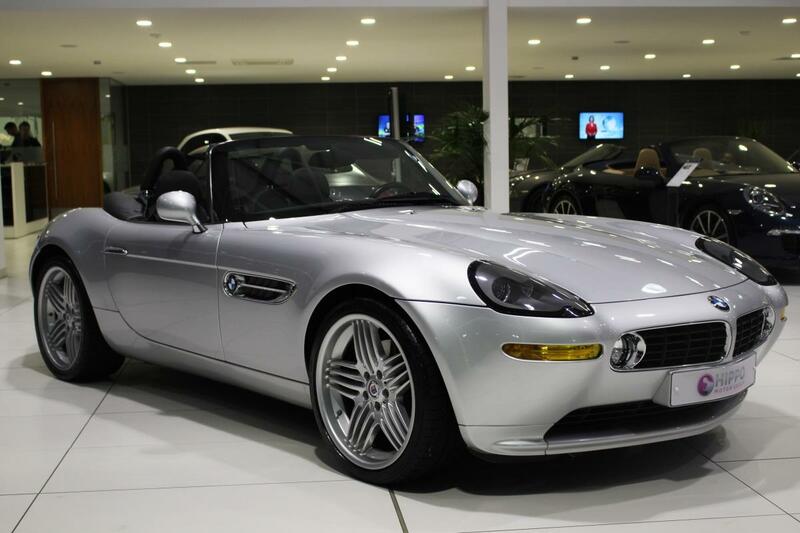 We’ve sold so many beautiful cars in my time – supercars, rare cars, you name it – but the car that stands out is the 2001 BMW Z8 we had for sale some time ago. The Z8 is actually my all-time favourite car, so to have it in the Hippo showroom was something else. I didn’t drive it, but I did take the opportunity to sit in it for a bit and take in the roadster’s incredible style. The BMW Z8 is roadster that you won’t see on the roads as it is incredibly rare – BMW only made it for three years, but it’s super iconic because of its retro design. The public will know the Z8 for its appearance in the 1999 James Bond film, The World Is Not Enough. 5. What advice would you give someone looking to purchase their next prestige car? Come to Hippo, we have everything you need under one roof. By that I mean, there’s no need to visit franchise dealership after franchise dealership test driving and viewing cars of different makes as at Hippo we’re independent and we have luxury cars from all manufacturers for customers to view. The fact that we’re not tied to one single manufacturer means we will give customers unbiased advice that really takes into account their individual needs. Beyond that, if you’re going to buy a prestige car, it’s important to research the dealer and check out their premises. You’ll have peace of mind knowing your dealership can handle every aspect of your car-buying journey the way Hippo can. Another important piece of advice when buying a car is to always check the car has a full service history. The service history is usually the best indicator that the car’s owner took good care of it. If it’s missing some years, that can indicate an owner who didn’t care enough about their vehicle. Finally, check the car in person. We’re more than happy to sell a car online, and we’re proud of the condition our cars are kept in, but as a car buyer, nothing beats seeing the car in person, physically sitting in it and driving it. 6. What is your dream job, if you weren’t at Hippo? Tell us why. 1. Fast lane or slow lane? 2. Soundtrack on the road? 3. Ultimate three-car garage and why? Mercedes SLS 63 Coupe, as for me it’s the ultimate supercar; Audi R8 V10 Coupe – it has to be the best all-round everyday sports car; Porsche Macan Turbo best car on the road for family duties. They’re all are supercars with a practical offering. I’d love to include the Z8, but I’d never want it to leave the garage. 4. Three Essential car items? Greg Wolfenden is our most experienced member of the Hippo Prestige sales team and has assisted hundreds of customers to get behind the wheel of their dream car. To see how he or any other member of the team can help you find the perfect luxury car or supercar, contact Hippo Prestige today on 01254 916 450.